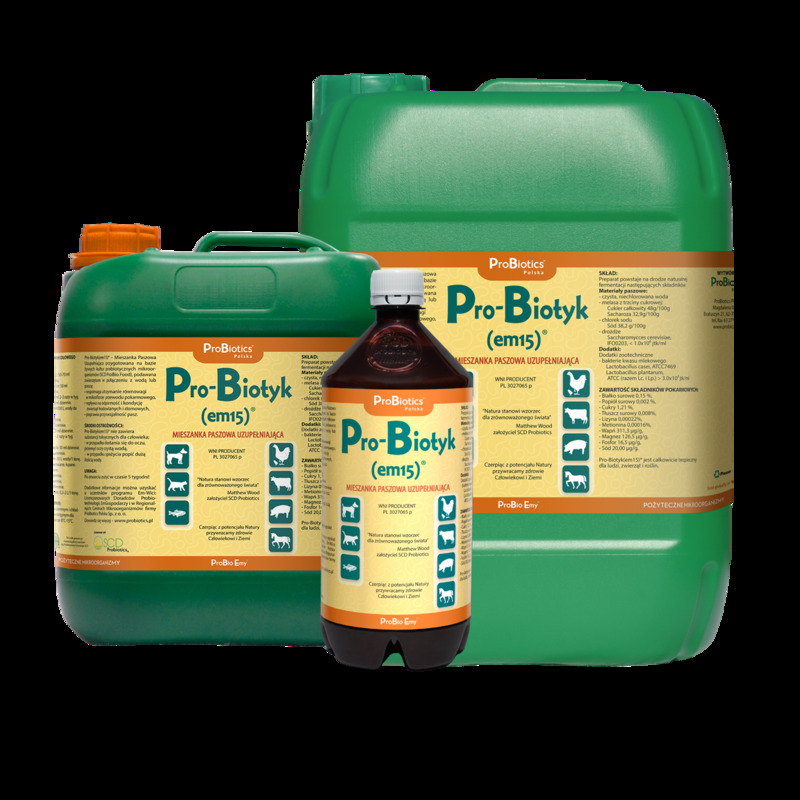 Pro-Biotyk (em15)® is a composition of beneficial microorganisms designed for animals and registered as Complementary Feed. 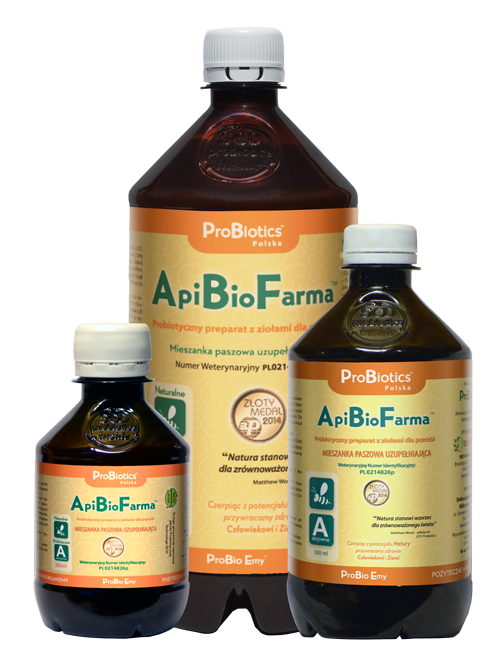 Prepared on the basis of SCD ProBio Food®. Recommended as an additive to feed. 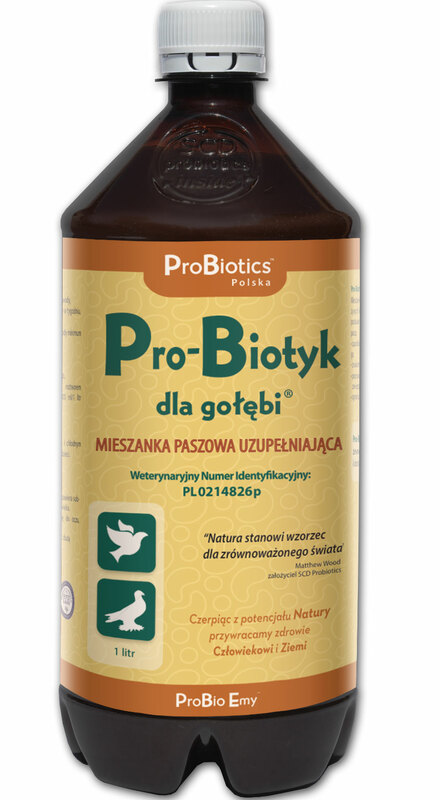 Purified and structured water, organic sugar cane molasses, sodium chloride, yeast, lactic acid bacteria.